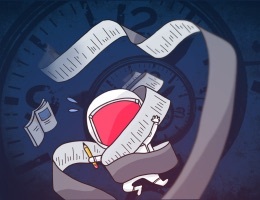 OmniFocus has been the GTD application of choice for Mac and iOS users for many years. Starting life on the Mac, it came to the iPhone and iPad with a level of polish and attention to detail not found in most mobile apps at the time. 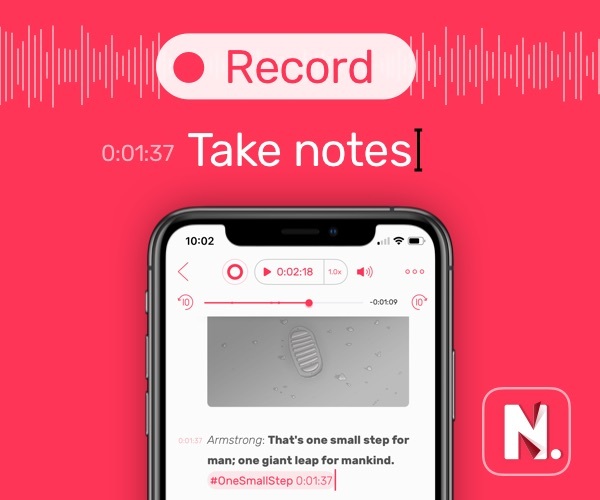 However, in the years since its initial release, other task management apps have come along and upended OmniFocus’ hold on the high-end of the market. Notably, Things 3 is one of the nicest iOS apps I’ve ever used. Of course, GTD apps should be judged on how they work, not just how they look. 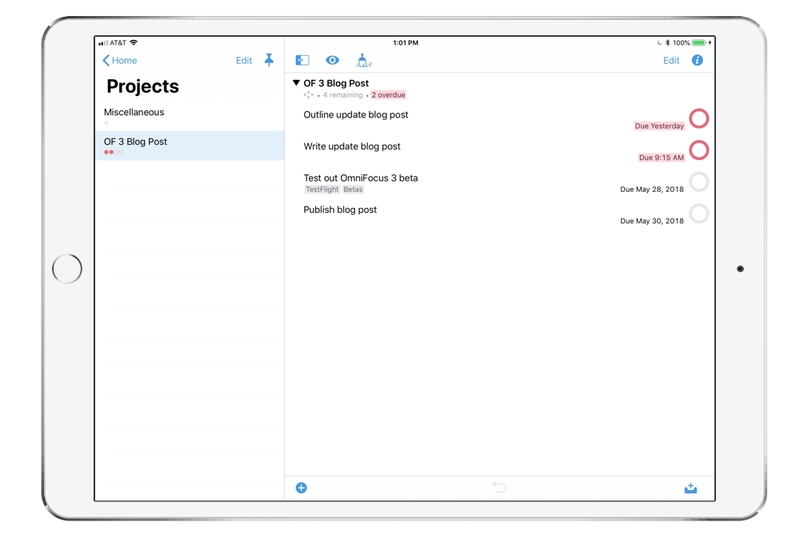 OmniFocus 3 for iOS — out today on the App Store — makes improvements in both form and function. 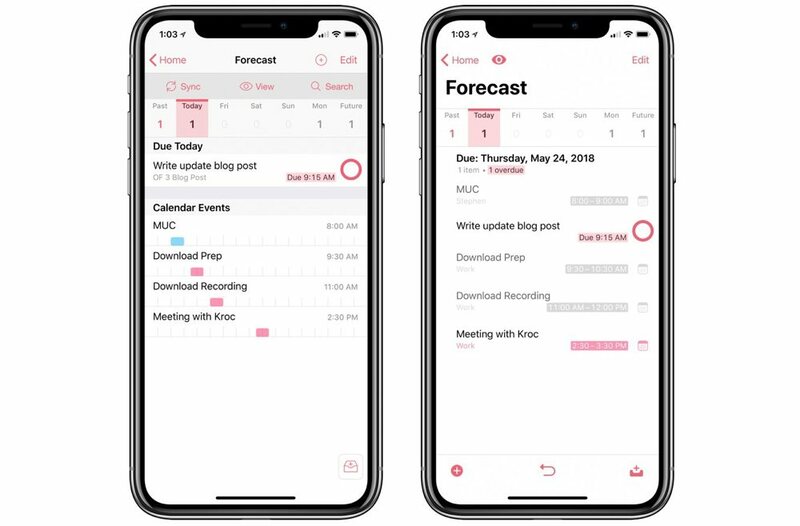 As far as design, OmniFocus 3 doesn’t stray too far from what OmniFocus 2 users will be familiar with, but the whole interface has been tidied up. The idea is to see how your events and tasks flow through the day, but I find it distracting, and prefer how the previous version handled this screen. Version 3 packs a lot of changes and new features. The first is tags. Gone is the old-school system of Contexts, which comes out of the classic GTD system. Additionally, OmniFocus 3 gives you the ability to batch edit multiple tasks. This means you can select a handful of to-do items and apply the same due-date or tag all at once. And there are also some nice improvements to repeating tasks, giving them a much more natural and “human” approach to how you create them. 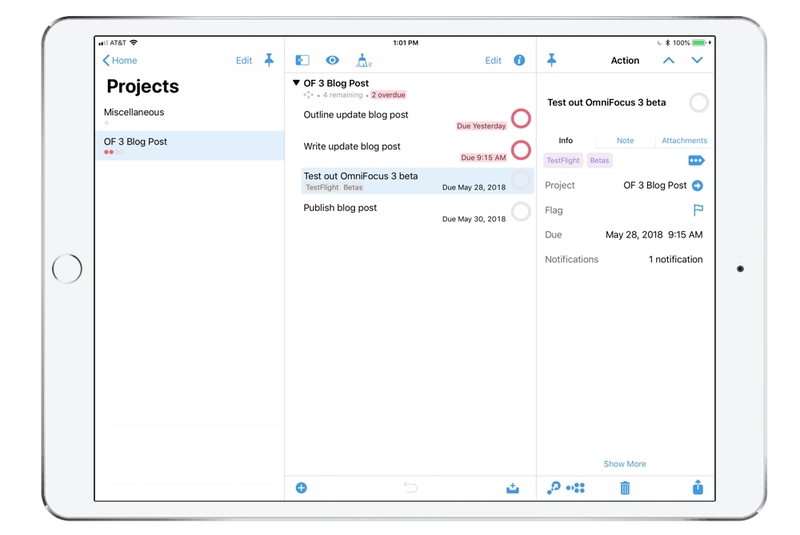 OmniFocus 3 is a free download for the iPhone and iPad. The Standard edition can be purchased in-app for $39.99. The Pro edition, which adds support for custom perspectives and sidebars will run $59.99. Paid 2.0 owners can upgrade with a 50% discount.